Considering the late comedy icon Robin Williams performed the voice of the original genie, Smith has some pretty big shoes to fill. Remember when Disney released photos of their live-action "Aladdin" remake with actor Will Smith as a Genie, and fans hated that he wasn't blue? 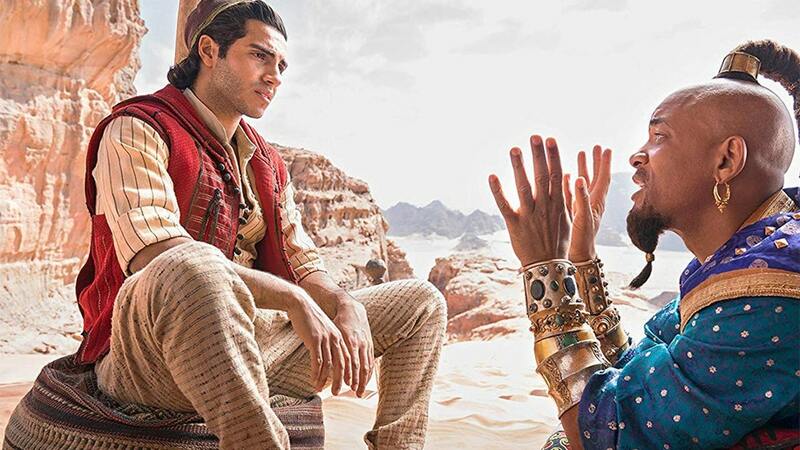 A thrilling and vibrant live-action adaptation of Disney's animated classic, "Aladdin" is the exciting tale of the charming street rat Aladdin, the courageous and self-determined Princess Jasmine and the Genie who may be the key to their future. But Disney provided another image of the character that wasn't shown in the trailer, offering fans another look to consider before making their judgements. "Bring me the lamp", he orders, his loyal pet parrot perched - silently for now - on his shoulder. We learned about the Guy Ritchie-directed film previous year and that Will Smith had signed on as the hilariously silly Genie. Smith also posted the trailer to his Instagram, and wrote: "I told y'all I was gon' be Blue!"